Dominicans eat mangú for breakfast! In Costa Rica, I ate rice and beans for breakfast, lunch and dinner! Remarks like the ones above were made by fellow Puerto Ricans when talking about differences in national cuisines around Latin America and the Caribbean. A common comment was on mangú. This mashed plantain dish was seen as too heavy, or too much, for breakfast, compared with the common Puerto Rican breakfast of toast and coffee. And yes – this statement comes with the qualifier that breakfast varies by person and by day of the week. The toast in the Puerto Rican breakfast table is often slathered in butter and accompanied by fried eggs and ham – not exactly “light”. Yet, they are what we consider “breakfast foods”. Mangú, plantains, and beans are seen as lunch or dinner foods, not breakfast. The distinction between “breakfast” and “lunch”/”dinner” foods may be something relatively new in Puerto Rico. Decades ago, viandas may have been a part of the Puerto Rican breakfast table, especially those in the country side, as part of a hearty early meal in preparation for a full day in the field. This takes me to my second Cuban meal: breakfast at the Old Havana hotel a few weeks ago. The breakfast was served in a big, spacious room, surrounded by a rooftop terraza. Three walls with different buffet stations and an omelet station in the corner. In the center of the room, a table full of breads of all kinds, including decorative pieces. 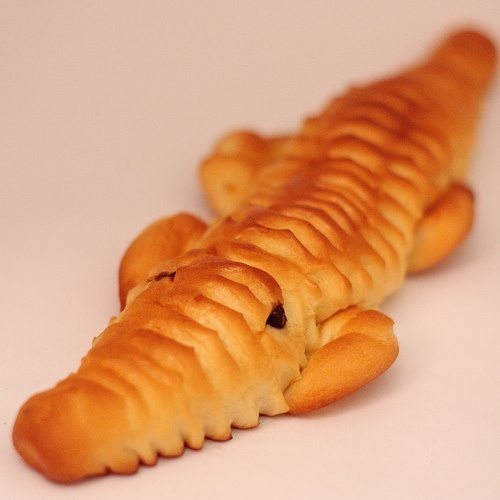 One such bread: a reptile like the one below. No pictures, but imagine this one, green. The offerings included various cold cuts, sausages, a few fruits…and pasta? Macarroni salad? Meatballs? This seemed odd. And I pondered on that every morning, as I cross the “lunch-breakfast” station (and no- I would not call this “brunch”). 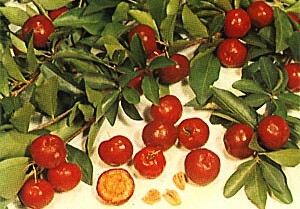 Was anybody eating this for breakfast? Not from what I saw. Yet – they were there every morning, for the four breakfasts we “enjoyed” there. 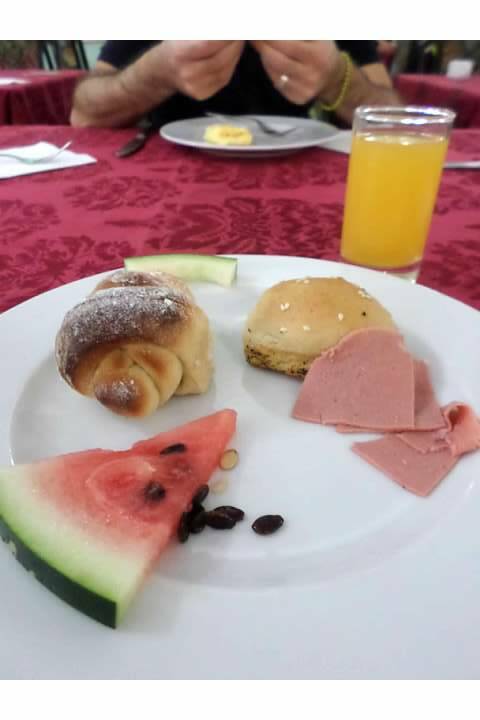 The last breakfast in Havana: Sweet bread, slice or watermelon, another piece of bread and mortadella. Breakfast is indeed the most important meal of the day, and perhaps the most interesting as well. How we talk about breakfast, more interestingly, about what “others” eat in the morning, manifests our own social norms surrounding food and eating. What we choose to eat may be affected by what we expect to do the rest of the day, and at the same time, what we eat first thing in the morning can have an effect on the rest of our day.